When we moved to Denver, I knew I would miss so much about the city of Seattle. Not so much the rain and the grey (although I actually do really miss that sometimes!) but lots of other things. One thing I didn't anticipate missing, however, was donuts. 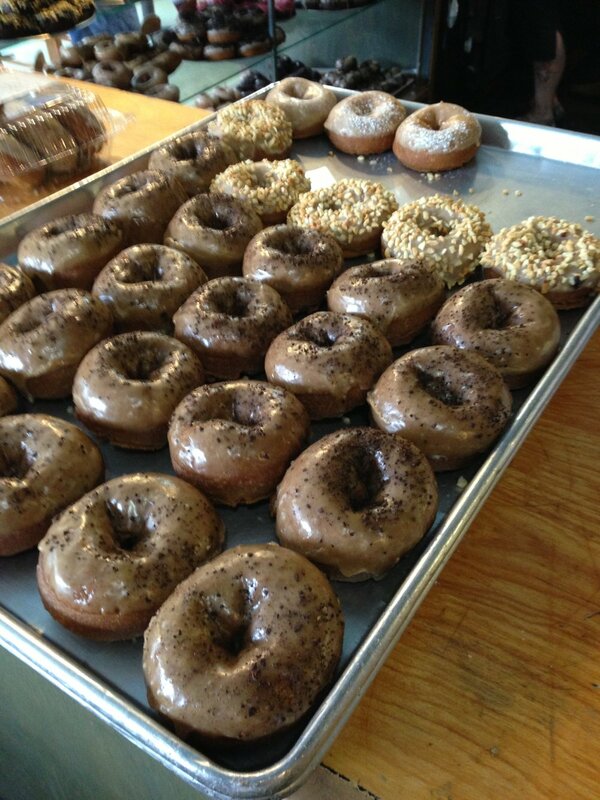 Artisan donuts. To get even more specific, vegan donuts. 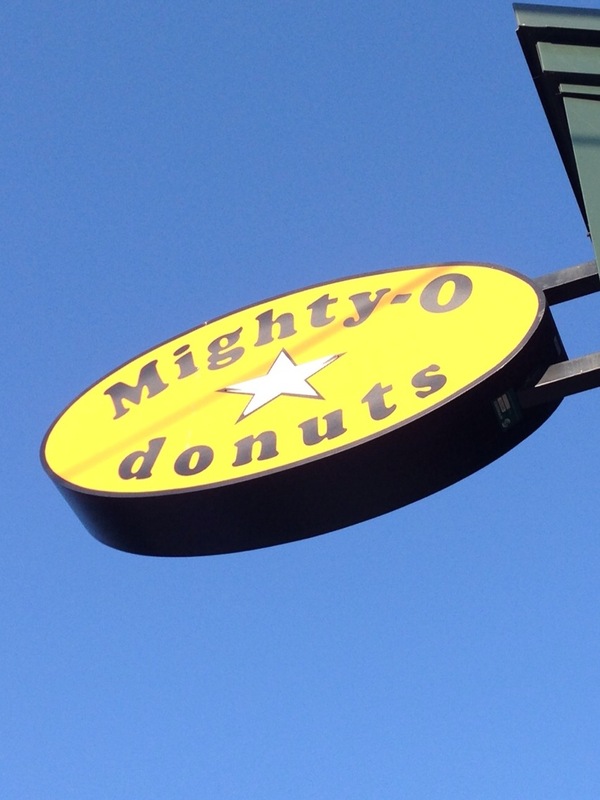 Basically, Mighty-O Donuts. 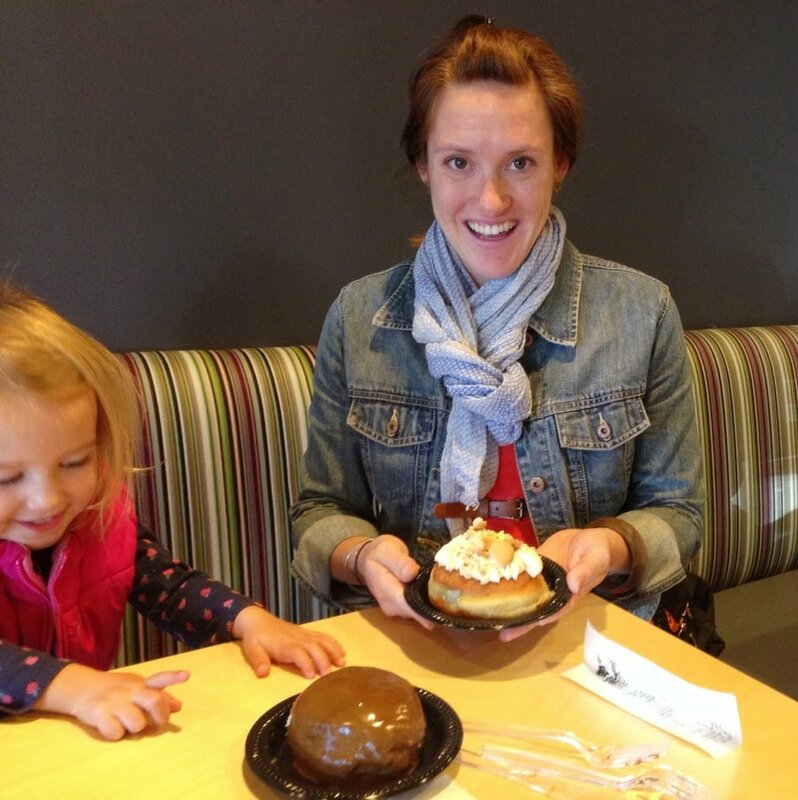 Before moving to Seattle, I'd always liked a sweet baked good, but I'd never really dabbled in the donut scene beyond a Dunkin' Donut or a Krispy Kreme (why so much alliteration in the donut world, btw?). But on a cool, rainy, Seattle morning, there's really nothing like a donut and a coffee to get you going. Mighty-O is where all my loyalties lie, but the city's other big purveyor, Top Pot, is pretty much just as delicious. 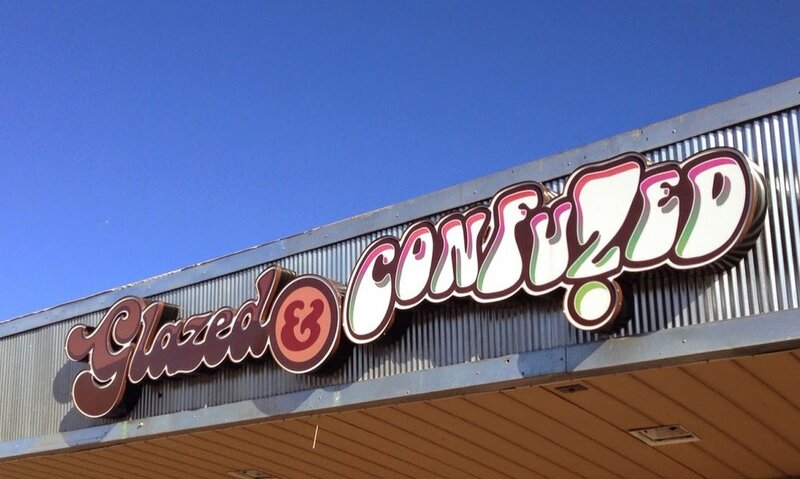 We'd frequently stop by one or the other for donuts on our way to a hike or a walk or a ski trip. Then we moved to Denver. A donut desert. There were great restaurants to be enjoyed, craft beers galore, and sufficiently (although not exceptionally) delicious cupcakes. But where could a girl get a donut? No where, it seemed. I asked around, and most people didn't even understand my need for a fancy round treat. Ok, ok, I know what you're thinking (Voodoo!). There are exceptions to this complaint. Mighty-O sells their donuts in a few Whole Foods. (Not all of them though, so it took a lot of asking and hunting. Cherry Creek is your best bet.) Voodoo Doughnuts opened on Colfax earlier this year. And another place joined the donut game as well: Glazed and Confuzed. It's a bit of a haul from our 'hood, but we made the trek last weekend to see what they were serving up. 1. High-quality ingredients vs. Wow Factor The craziest donut you'll find at Mighty-O is something like chocolate raspberry. They make delicious and unique flavors, but they're all pretty tame. French Toast is one of their standbys. This means whatever you choose for your breakfast treat will be indulgent and sweet, but not overly so. You (most likely) won't feel ill. I'm not vegan, or even vegetarian, but because Mighty-O uses only vegan (+ non-GMO) ingredients, their donuts are never going to be as over the top as Voodoo's. Same goes for Top Pot. Their donut case has shades of browns and beiges. Not so much a rainbow. And that's just fine with me. 2. Coffee. Maybe this is another Seattle vs. Denver thing, but both Mighty-O and Top Pot offer stellar coffee alongside their donuts. (I'm talking about a full-service espresso bar that uses locally roasted beans. Not a thermos with some random variety drip.) It seems like a no-brainer. Does anything go better with a donut than coffee? 3. Cake vs. Yeasted Which type is your favorite? I'm with cake, all the way. And that's what Mighty-O and Top Pot do well. They usually have a couple yeasted options, but not too many. Voodoo and Glazed and Confuzed on the other hand, offer up several yeasted varieties. 4. Lines. This is where only Voodoo fails. I don't even want to get started because I might not be able to stop. I have a serious problem with the omnipresence of the line outside all (most?) of their stores. Sure, there's a long wait when something new and exciting opens. But months and months later, the line is just evidence that you're not doing something right. You need a more visible menu! And perhaps you should carry a few less varieties at a time so people can order more quickly! Or staff some more people!